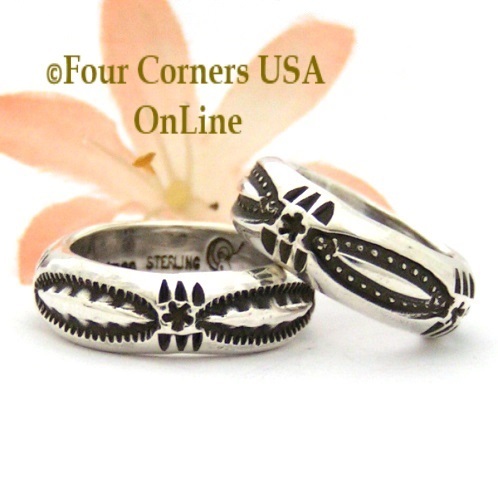 Native American and American Artisan Sterling Silver Rings for Men and Women without Stones. All Sterling Silver Rings and some with Gold accents or overlays perfect for your mixed metal jewelry collection. Our Collection offers a variety of styles including Folk Art StoryTellers, Petroglyph Stone Art, Mixed Gold Silver Bands with various American Indian Symbols.